The 2018 Event Calendar has been posted on our events page located here: https://ihcofva.com/events/ and it is pasted below. Hope to see you at these exciting events! 11: Chapter meeting at 3:00 p.m. at the Cross Keys Worship Center. 7: RAIN DATE only for Plow Day. 12: Presale orders for pork tenderloin sandwiches due to Jennifer at 820-9763. Sandwiches are $3.50 each. 21: Pork tenderloin sandwich making at 8:30 a.m. Cross Keys Worship Center. Chapter meeting at 10:00 a.m.
4: Relay for Life at the Rockingham County Fairgrounds 6:00 p.m.-6:00 a.m. Come support our team! 26: Chapter is sponsoring a Kids Pedal Pull for All American Diesel Day at the Rockingham County Fairgrounds. 10: Chapter meeting at 3:00 p.m. at the Rockingham County Fairgrounds. Bring a lawn chair. 13: Chapter meeting/picnic at 5:00 p.m. Shelter #3 (with bathrooms) at Oakdale Park. 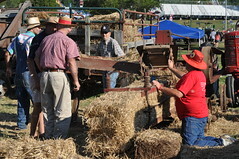 6: Chapter members exhibit at Cyrus McCormick Farm Mill Day. 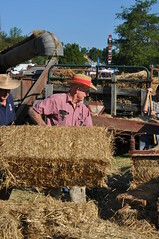 7: Chapter members exhibit at Farming in the Valley. 11: Tentative! Presale orders for pork tenderloin sandwiches due to Jennifer at 820-9763. 20: Tentative! Pork tenderloin sandwichmaking 8:30 a.m. Cross Keys Worship Center. Meeting to follow. RELAY 2017 will be 5/5/17 save the date! Relay 2017 has begun. You can sign up online at Harrisonburg Rockingham Relay for life (type this in your google search and it will come up, this is the easiest way) or you can use relayforlife.org once you get to the website and you are sure that you are under Harrisonburg/Rockingham 5/5/17 you will click Join this Relay from there it is very simple. If you do not want to sign up online I can provide you with a paper application. The theme this year is ”Wish upon a cure” Please begin collecting auction items for Relay and when you have them ready I will be happy to pick them up. I would like to have all items by April 1, 2017. Let’s see if we can beat our top our total from last year we were #5 out of 113 teams and we raised over $10k. 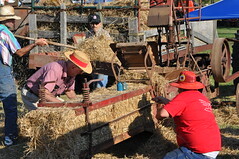 2016 Relay Pedal Tractor Raffle Tickets are available. Auction Items for Relay are due to us by April 1. If you would like to donate an item please contact Dave or Becky and we can make arrangements to get your item. 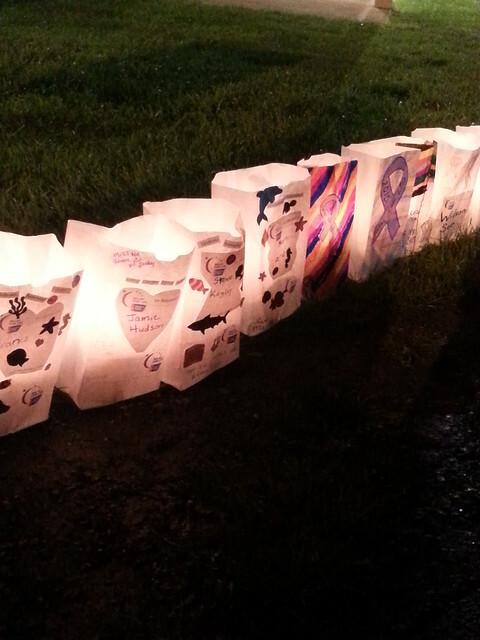 Relay event is Friday May 6 @ 6pm. This is an all night event. Bring a chair and warm clothes. We would love to see everyone. Upcoming events for our Team are Weyers Cave Toy show Feb 27. And River heads toy show at the end of March. We currently have 25 team members WOW thats is awesome…. IH Collector’s For A Cure Relay Team will began pre-selling Pumpkin Rolls October 16 thru November 16. They will be $10 for plain and $12 with nuts. Delivery date will be November 23. If anyone in the club is interested in helping with presales please contact Dave 6307-7450 or Becky 421-3912 to get an order form. All proceeds will benefit Relay For Life/ACS. Hello and welcome to Relay 2016! 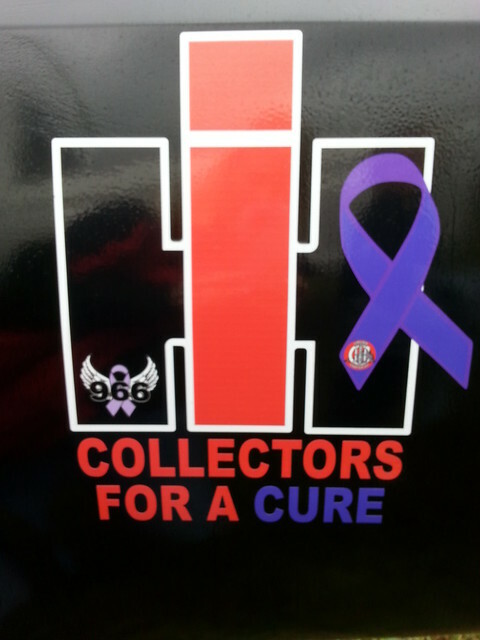 We raised $8,061 and finished 10 out of 110 teams i am so proud of Team IH Collector’s FOR A Cure and thank you to everyone for u time and support this event takes a lot of dedication and team work. View more Relay for Life 2015 Pictures by clicking here.